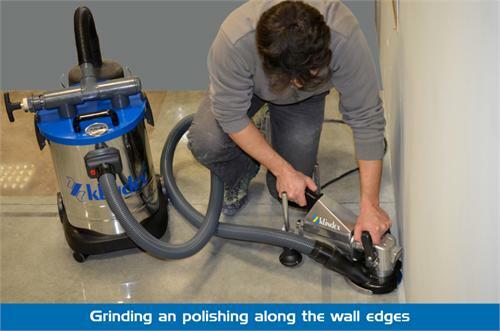 Klindex Waterfire is a new edge and corner MULTI FEATURE hand grinder! 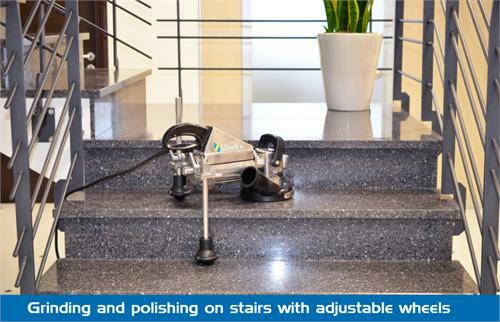 Waterfire is a hand grinder with an adjustable head and can be used for corners, Edges, countertops, skirting, stairs, stairs skirting and joint chaser. 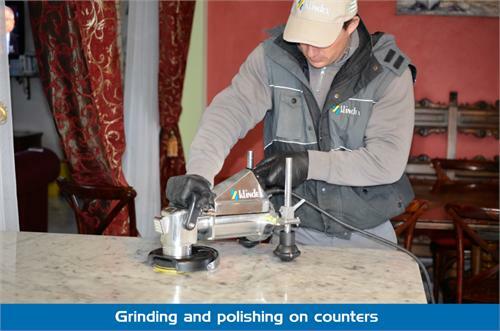 WaterFire is the ideal machine to achieve perfect polishing of countertops, shelves, tables and narrow areas. 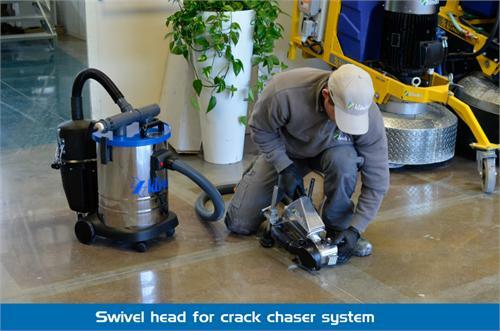 It can be used as a Concrete or Marble edge grinder, as well as a stair bush-hammer and as a joint chaser thanks to its extra accessories. 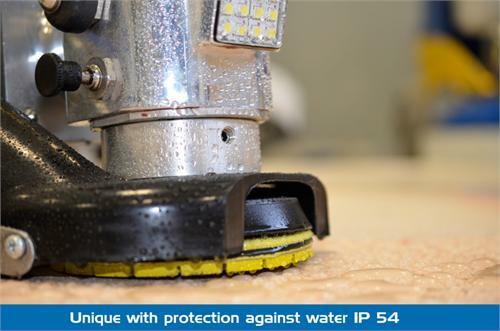 • The only hand grinder with IP54 Protection in the World. 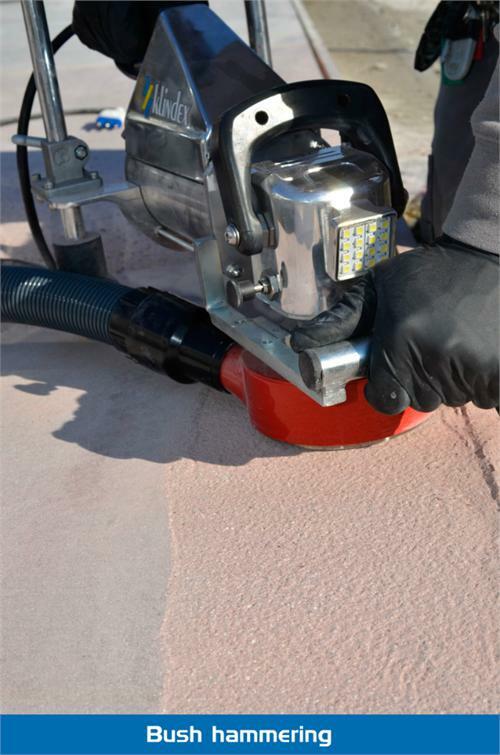 • Exceptional asynchronous motor strength, compared to a traditional motor it lasts longer thanks to the protection from external agents like water or dust. 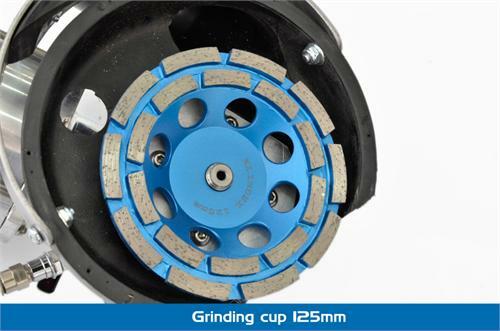 • Oversized Gears and bearings, compared to a traditional hand grinder. 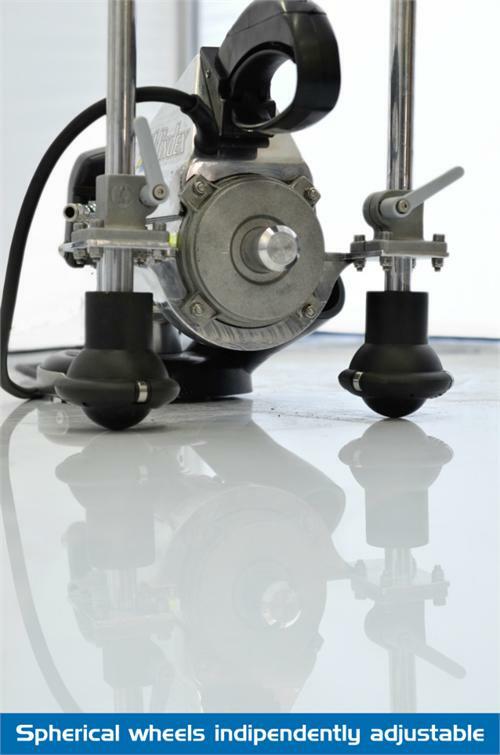 • Possibility to be supported by a Back spherical wheel cart to achieve a perfectly flat surface (to avoid the wave effect). 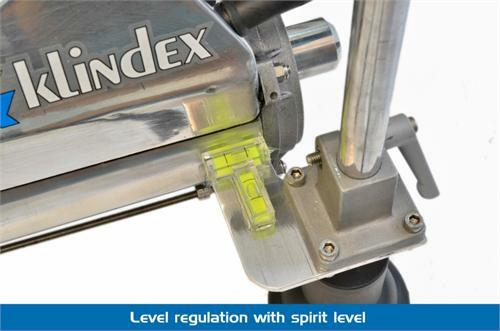 • Front led light to check the working area. 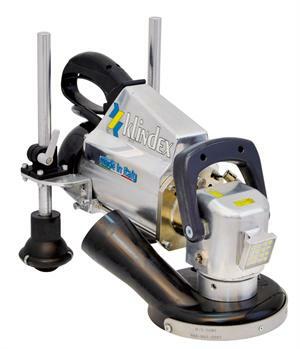 • Rotating head feature, for Joint chasing application. 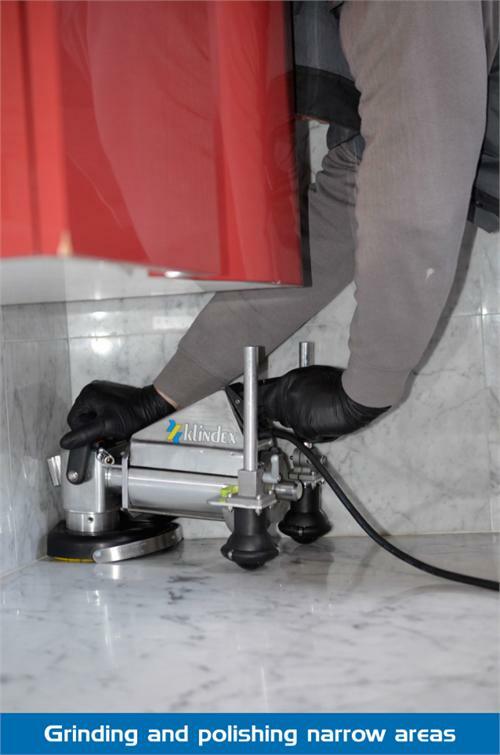 • Speed switch grinding / polishing. 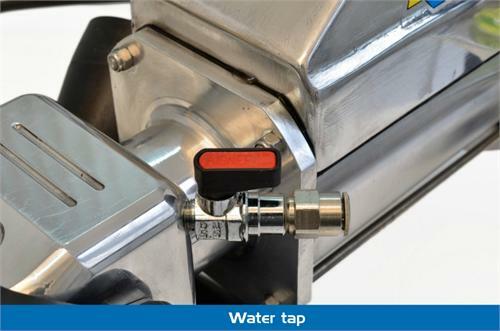 • Wet or Dry grinding operation (equipped of a water nozzle). 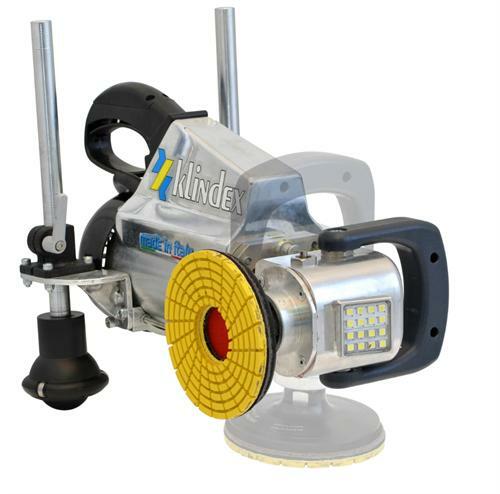 *Price includes: Back Spherical wheels with independent adjusting, protective sucking cap, 180°adjustable grinding head. 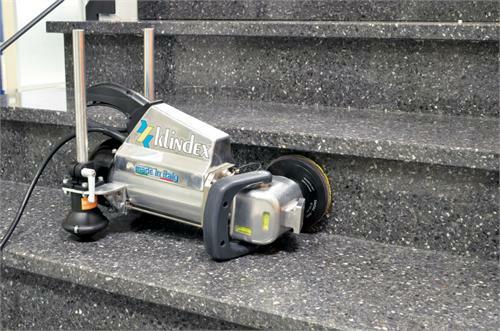 Tools sizes up to 6"
Dimension 18" x 13"x 9"